Regardless of which Laco aviator watch you choose, all models have one thing in common: a legendary history. In the 1940s only a handful of companies received permission to manufacture pilot watches. One of them was Laco. 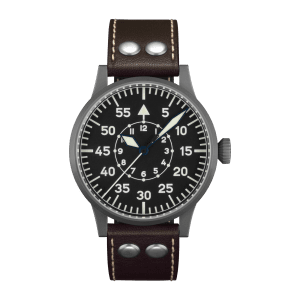 The detailed requirements laid down for observation watches for the German Air Force were formulated by the Ministry of Aviation under the classification "FL 23883". This number stood for "navigation devices" and could also be seen on each watch on the opposite side of the winder. Aviator watch – INDISPENSABLE ACCESSORIES ON BOARD. Considering its turbulent history, the pilot watch was specifically designed and built for the needs on board. The pilot watch was therefore characterised by its robustness, functionality and high readability: it was resistant to shock, vibration and pressure as well as easy and safe to use both day and night. Characteristics that nowadays are of great benefit also in everyday life. Whoever buys a Laco with the classic aviator watch design, can therefore count on their ease of use and good readability.. Most pilot watches models by Laco are manufactured by hand based on three different model types in Pforzheim. At first glance, the differences of the aviator watches types A, B and C, are, above all, in the division of the dial. Model A was created in the 1940s for aviators and is characterised by a simple design with numbered hours. The dial with a large hour circle indicates the numbers 1 to 11. 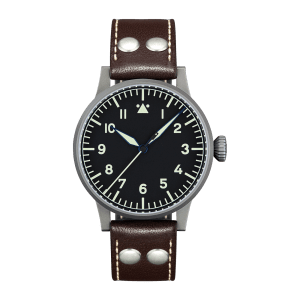 For better readability the pilot watch model A has a triangle with two points in place of the Arabic numeral "12". The triangle made sure that the wearer of the watch could see the hands at “12” at a glance, even with poor visibility and difficult flight conditions or under stress.  These two points also make it easier to precisely set the watch in difficult visibility conditions.